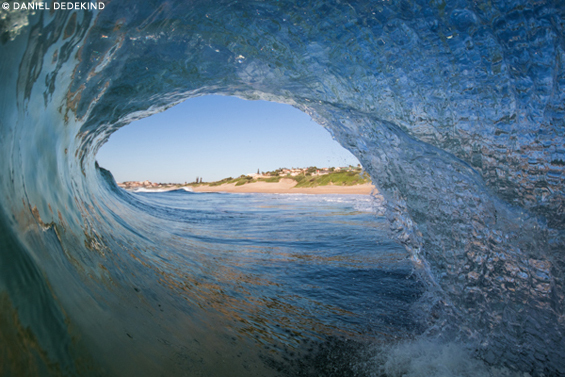 Brother Housings is a Durban based company which have been dedicated to providing SA water photographers with the most affordable and highest quality underwater housings since their birth in 2009. Now, six years down the line, their latest and ‘best model to date’ will be launching later this month. We caught up with one of the brothers, Jason Liebenberg, to get the low down on the origins of their growing brotherhood. 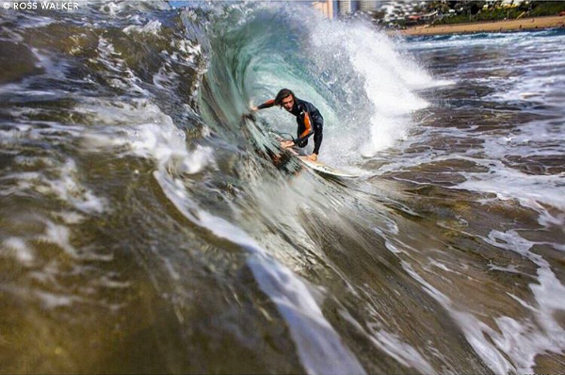 Brother Housings user, Ross Walker, puts his to good use. Zigzag: Tell us about the origins of Brother Housing? Jason: It all started in 2009 back when I was still studying. A friend of mine had recently purchased a home-made housing and brought in his DSLR, which had a couple photographs of some shore break from the previous afternoon’s swim. This was pre GoPro days and I instantly fell in love with the photographs, but I was more interested in the piece of equipment which allowed him to do so. Being a student, there was no way that I would be able to afford to purchase a housing like he did, so I decided to make my own one. I have a design background and my brother has an engineering one, so we joined forces and created what could be branded the world’s heaviest, most cumbersome housing. But it was the start of something greater, and I knew it right away. We never settled on a design and kept on making adjustments in order to reduce weight, increase user friendliness and manufacturing ease. I soon found myself at a crossroads of sorts. In order to proceed with the then latest design, I would have to spend the same amount of money as it would cost to import a housing into the country. The decision was made to use my studied knowledge of brand management and creative communications to create the Brother Housings brand, and market the design at the time – which we sold enough of to cover all of our initial expenses. The bug had bitten, but more importantly, my passion for design, branding, marketing and business had been ignited considerably. Brother Housings became a company! Join in on the launching of their latest housing in Umhlanga next week. More details here. When and where is the new launch of your latest model happening and what can people attending expect? We’ve conceived the launch as a means to gather all the interested housing users, photographers and friends into one cool space to officially reveal the new product to the public for the first time! We’re extremely excited. There will be a cash bar and snacks available along with live music by The Kickstands, as well as the actual launch. A taste of the music that’ll be on offer by The Kickstands. Describe the process involved in making each housing. Up until now, we have fully handmade every single one of our housings. Previous processes include resin casting into silicon moulds that we had designed and produced ourselves, brake pressing aluminium sheets and welding them together, aluminium sand casting and a lot of hard, hands on work! In order to even start with any of the above processes, a considerable amount of design work is needed which can take months to perfect. This is the same with the new model that we are about to launch! 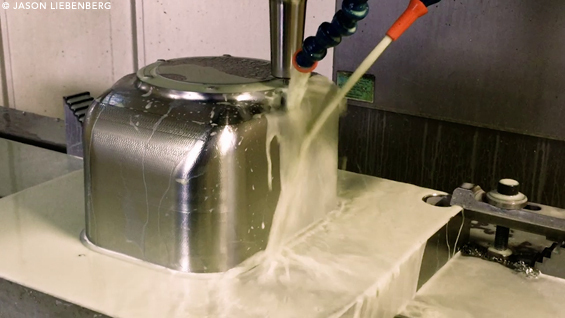 We have sought new production methods with the focus on producing our housings quicker, but more importantly, producing housings with the most professional finish possible. 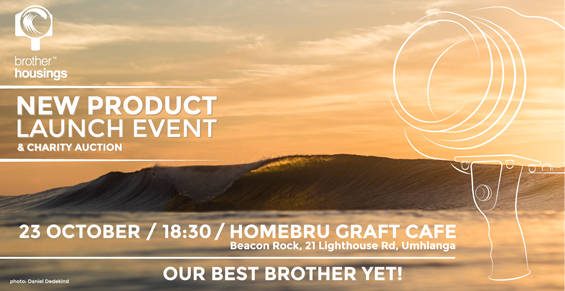 Here’s your chance to give us the pitch, why should SA surf photographers invest in Brother Housing rigs, instead of an international brand? Affordability: We’re really proud of our persuit of affordability, which has been of paramount importance in our business venture since day one. Despite the massive upgrades in areas such as aesthetics and weight reduction, the new model will retail for the same price as our previous model. 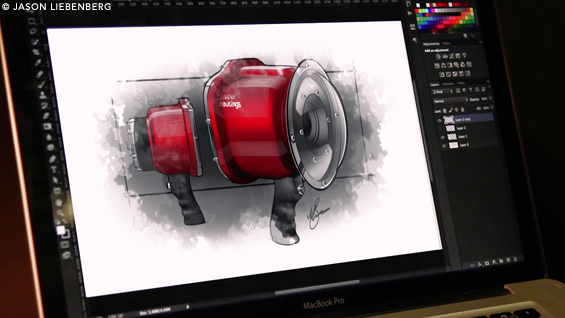 Our design approach also allows users to use a whole range of cameras so that one doesn’t need to purchase a new housing every time you purchase a new camera body. Accessibility: We’re based in Durban, have an online store and offer free delivery to anywhere in South Africa. A product of this nature will need to be serviced and repaired from time to time, there is no need to ship the housing across the world for an O-Ring replacement for example. Our online store will also feature many spares, accessories and we offer ports to your required length. We also aim to be in stores by beginning of 2016. Customer Service: Once you purchase a Brother, you become part of the family – and we care about that! We’re always on hand to answer any questions or meet your requests as soon as possible. We’ve heard some terrible stories from some of our customers’ experiences with other overseas brands before coming to us. Ask any of our current product users and they will give you their honest opinion. What improvements can be expected in the latest range of Brother Housings? Has the design come far from the very first housing you made? The design has changed drastically over the years, which is understandable as the needs and expectations of our product have changed too. The latest range of housings has seen us shave the weight of the unit in half! The previous Aluminate 2 model weighed 3,017kg’s, the new model comes in at 50% less than that – just under 1,5kg’s. Without giving too much more away before the launch, the major upgrades relate to user friendliness and product quality. Is this something you always wanted to do, design and build a unique product like a water-housing, or did you stumble upon it by chance? 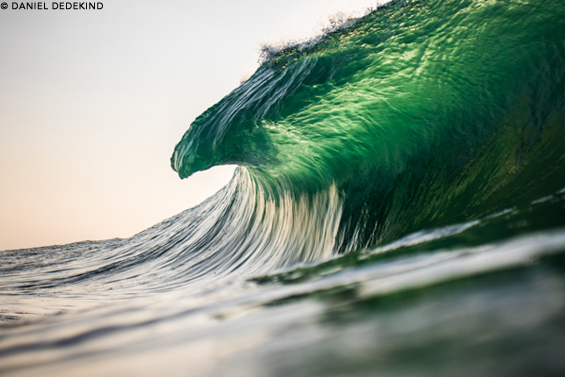 I’ve always wanted to capture the beauty of the ocean, and the curl of the lip of a wave – but I could never have imagined designing and producing the equipment to allow so many photographers to follow the same dream. I have also always wanted to do something that was fulfilling, rewarding and ultimately something I thoroughly enjoy. I have found that. What’s in the name, is this a family run business? Yes it is, without my brother this company wouldn’t exist. That sentiment is shared between us. With DSLR’s constantly evolving, and brands like Sony and Panasonic becoming more prominent in the professional and amateur market, do you guys cater for different cameras or is it only Canon? Until now, we have catered for any DSLR that has the ability to be fired with a wired remote, as this is the main trigger mechanism. However, with the birth of the Brother Housings manual controls, we can now cater for nearly every camera! 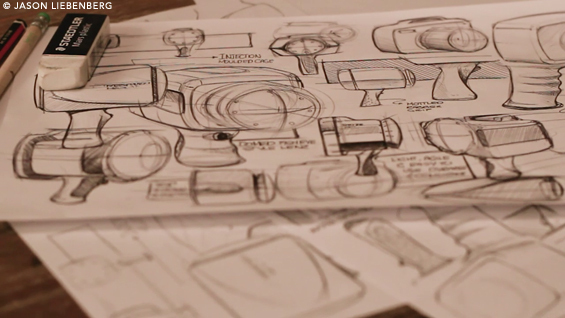 The all important design process, which gives a glimpse into the effort put into the end product of each housing. Do you build custom housings for specific rigs? And are there different detachable ports for different lenses? Say, wide angle and zoom lens ports. Our housings will fit a range of rigs, so the owner just needs to contact us to get the ball rolling. And yes we do offer dome and flat ports to any required length, our zoom controls are on the way too! Would these rigs be ideal for videographers as well as photographers? Yes of course! We currently offer a Canon Video Module which allows the user to Start/Stop recording using the pistol grip button trigger. The manual controls also allow for recording on all other cameras. The new model will cost R8000. This is a complete model which includes a standard flat port. 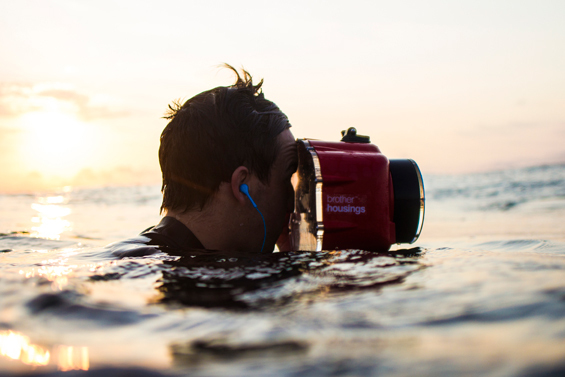 Daniel Dedekind, combining his love for the ocean and passion for photography with a Brother Housing to get one of many amazing moments. Another result of skill and the right equipment.